Blessing Shumba’s timeless music productions have firmly positioned the artiste on the front row of the gospel genre, with a recent top accolade icing his cake. The Mutare based artiste was recently rewarded for topping the Radio Zimbabwe Coca-Cola Top 50 charts with his song ‘Chimwe Nechimwe’ off the album ‘NdiJesu’. For an artiste whose music was initially deemed unmarketable by some recording companies, Shumba’s ascension is like a slap to his critics. Shumba has four albums under his belt. These are ‘Ishe Wazvose’, ‘NdiMwari’, ‘Shongwe’, ‘NdiJesu’. Another one titled ‘Calvary’ will be launched soon. His second album, ‘NdiMwari’ was voted Outstanding Album at the National Arts Merit Awards (Nama) in 2012. The album carried the hit song ‘Mufaro’ and it went on to be nominated in 2013 again. Shumba, who was a pastor for six years in the Mugodhi Apostolic Church before crossing over to the Christ Fellowship Assemblies, believe that he has stood the test of time to prove his earnest service to God through well-polished music productions. “I thank God when I look back to where I came from. The grace of God is on it. As long as my work is sufficient enough to help the nation, God will continue to help us,” Shumba said. Shumba was once compared with another budding gospel artiste, Matthias Mhere, who he said was a beneficiary of his nomadic former band members. The musician said his work distinguishes itself. “There was nothing between me and Matthias. We had band members crossing over to him to the extent that I was left with Mrs Shumba (his wife) only. But we managed to put our house in order. 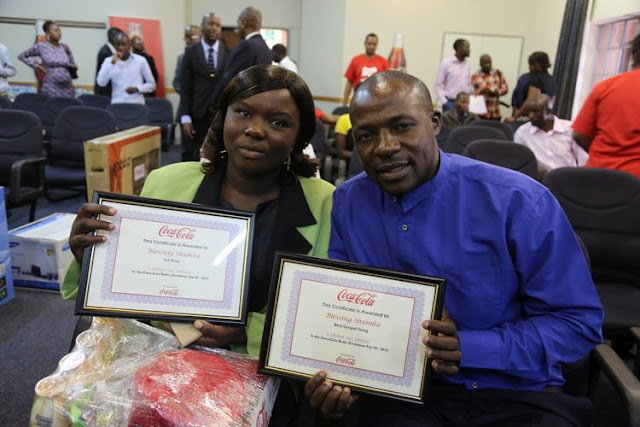 And the young men who later joined us are the same we have won this award with (Radio Zimbabwe Coca Cola Top 50),” he said. Shumba said his slow and emotion provoking music is just like an audio Bible. “My music is a calling. As you know I am also a pastor. I do not do music for people to dance, I bring it out the same way I prepare a sermon. So if you find yourself dancing to my music, it is a mistake because my music is like an audio Bible,” he explained. Shumba’s love for music dates back to 2001 when he formed a choral group named Vakushi, together with his brothers. However, the group dismantled after his brothers left for South Africa in search for greener pastures. Today, the group gets together sometimes to sing for fun. Shumba dispelled rumours that he was once incarcerated. “I used to visit prisons to preach and pray with prisoners. In so doing, l established a good rapprt with the officer-in-charge. I also realised while in there that there were people with talent. The officer-in-charge then suggested that they could form a band. “So we started singing together and we identified good songs.  This led to the birth of the Manicaland School of Art. I have never been incarcerated,” he added. Shumba is planning a debut launch in Mutare in two months time. “Already two songs from the album are out, these are ‘Step by Step’ and ‘Zvapera’. I am yet to make up my mind on whether to make it a 10 or 12 track album,” he said. Shumba is the last born in a family of ten. He was bred in Chiurwi, Buhera. The musician is married to Pauline Shumba and is father to four children. ENERGETIC gospel musician Matthias Mhere, who is set to launch his 10 track album titled ‘Double Double’ on February 10, spoke to The Sunday Mail Religion concerning fellow artiste, Blessing Shumba. A few years back, Mhere was accused of coping Shumba’s music. He however disputed the copycat tag in the excerpt below. When we started there was confusion with people saying I copied Shumba. My brother Shumba and l are preachers. What they described as similar were the instruments because the producer was the same. So nomatter how he (producer) tried to be different, somehow you could trace his unique style in all our productions because the backing vocals were the same. But if you listen to our type of music, it is different. I sing a fast traditional beat. As we speak it’s now clear that we are different. Then you see that Shumba is doing well and I am doing well. Our job is unique in that we were called to preach, whether we like it or not. So if I preach Matthew 25 in song, I can’t stop another musician from doing the same.